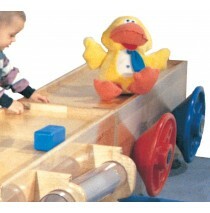 Strictly for Kids Deluxe Jumbo Maple Cubbies for 15. Perfect to store backpacks. A very solid maple.. 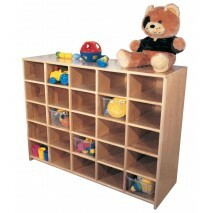 Strictly for Kids Mainstream Double Faced Jumbo Cubbies for 30 w/Locking Casters. Ideal to store bac.. 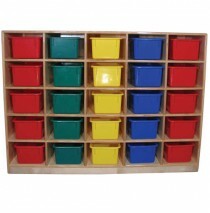 Strictly for Kids Deluxe Jumbo Maple Cubbies for 9. Perfect for diaper bags and backpacks. A very s.. 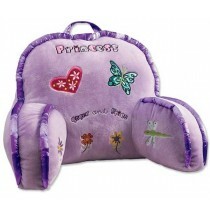 Strictly for Kids Mainstream Jumbo Infant/School Age Cubby Units for 12. Beautifully crafted of Balt.. 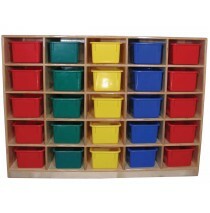 Strictly for Kids Deluxe Jumbo Maple Cubbies for 12. Perfect for diaper bags and backpacks. A very .. 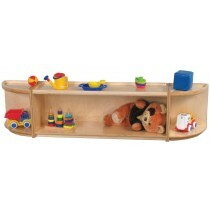 Strictly for Kids Mainstream Jumbo Cubby Unit for 15. Ideal to store back packs. Sturdy Baltic Birch.. 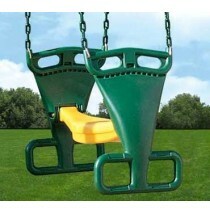 Strictly for Kids Mainstream Jumbo Infant/School Age Cubbies for 6. Ideal for diaper bags and backpa.. 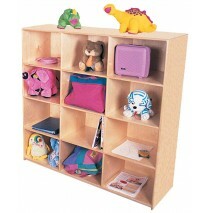 Strictly for Kids Deluxe Jumbo Infant/School Age Cubbies for 6. Perfect for diaper bags and backpack.. 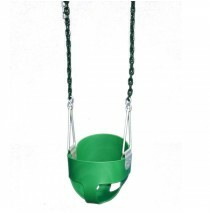 Strictly for Kids Mainstream Jumbo Infant/School Age Cubbies for 9. Ideal for diaper bags and backpa.. Strictly for Kids Crashing Waves, 36''h Mainstream Gentle Wave Storage System. The perfect storage s.. 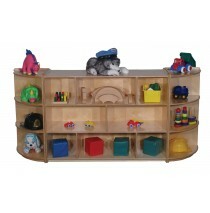 Strictly for Kids Sand Dune, 24"h Mainstream Gentle Wave Storage System. This impressive set adds st.. 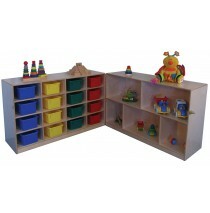 Strictly for Kids Sand Dune, 30"h Mainstream Gentle Wave Storage System. This impressive set adds st.. Strictly for Kids Sand Dune, 36"h Mainstream Gentle Wave Storage System. This impressive set adds st.. 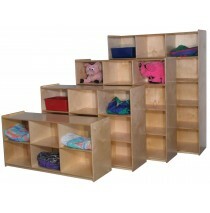 Strictly for Kids Mainstream Tri-Fold Storage w/Cubbies for 25 on casters. A terrific storage soluti.. 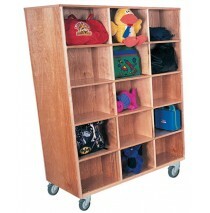 Strictly for Kids Deluxe Tri-Fold Storage w/Cubbies for 25 on casters. This is the perfect solution .. 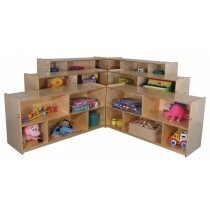 Strictly for Kids Mainstream Fold 'n Lock Storage Unit w/Cubbies for 16 on casters. A beautiful stor.. 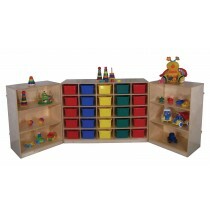 Strictly for Kids Mainstream Storage Peninsula, double faced unit with locking casters. Strong Balti.. 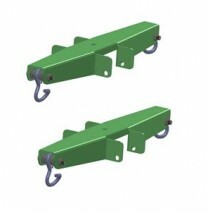 Strictly for Kids Mainstream Storage Peninsula, double faced with locking casters. Strong Baltic Bir.. 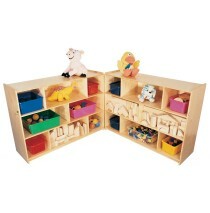 Strictly for Kids Mainstream Single Storage Unit w/Dividers, 24''h. A very durable cabinet with all .. 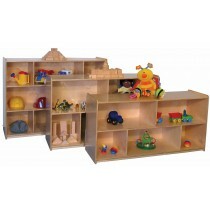 Strictly for Kids Mainstream Single Storage Unit w/Dividers, 30''h. A very durable cabinet with all .. 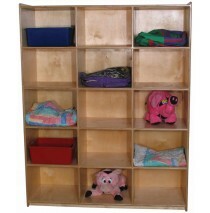 Strictly for Kids Mainstream Single Storage Unit w/Dividers, 36''h. A very durable cabinet with all .. Strictly for Kids Deluxe Fold 'N' Lock Storage Unit w/Dividers, 30''h. This super durable, extra dee.. Strictly for Kids Deluxe Fold 'N' Lock Storage Unit w/Dividers, 24''h. This super durable, extra dee.. Strictly for Kids Mainstream Fold 'n Lock Storage Unit w/dividers, 30''h. A very sturdy unit constru.. Strictly for Kids Mainstream Fold 'n Lock Storage Unit w/dividers, 24''h. A very sturdy unit constru.. Strictly for Kids Deluxe Fold 'N' Lock Storage Unit w/Dividers, 36''h. This super durable, extra dee.. Strictly for Kids Mainstream Fold 'n Lock Storage Unit w/dividers, 36''h. 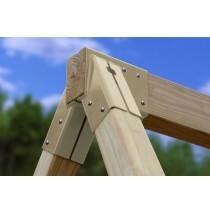 A very sturdy unit constru.. Strictly for Kids Deluxe Solid Maple Rectangular Primary Care Cabinet w/Cruising Rails, Storage and .. Strictly for Kids Mainstream Sand Dune Primary Care System. This impressive set adds structure to th.. 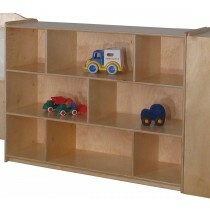 Strictly for Kids Mainstream 36''h Economy Room Divider Storage Unit w/3 divided shelves. This 48''w.. 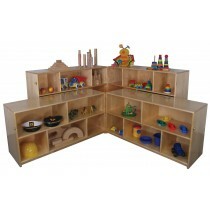 Strictly for Kids Maple Cubbies for 20. A very solid maple cabinet helps create an elegant, organize.. Strictly for Kids Maple Cubby Units For 25. A very solid maple cabinet helps create an elegant, orga.. Strictly for Kids Mainstream Cubbies for 16. A sturdy cabinet with Baltic Birch plywood construction.. Strictly for Kids Mainstream Cubbies for 20. A sturdy cabinet with Baltic Birch plywood construction..
48''w x 15''d x 36''h, 5-cubbies across, 5-cubbies high. Arrives fully assembled. Lifetime warra.. Strictly for Kids Deluxe Maple Cubbies for 16. A very solid maple cabinet helps create an elegant, o..